The ads highlight how Russia's efforts focused on divisive cultural issues. Russian propaganda efforts used ads on Facebook and Instagram to push divisive messages to fans of a variety of pages including Black Lives Matter and Fox News host Sean Hannity, according to a new batch of sponsored posts released on Thursday. Democrats on the House Intelligence Committee released thousands of divisive ads created by the Internet Research Agency, the Kremlin-backed organization that targeted American voters on Facebook and Instagram around the 2016 presidential election. Facebook, which also owns Instagram, received nearly $100,000 from the Russia-funded troll farm to run the 3,000 ads from 2015 to 2017, according to an NBC News analysis of the release. The ads provide a deeper understanding of Russia’s use of social media to spread propaganda on divisive topics, which included pushing anti-immigrant messages to fans of specific Fox News personalities such as Sean Hannity and Bill O'Reilly, and buying batches of ads immediately after a mass shooting at a historically black church in Charleston, South Carolina. 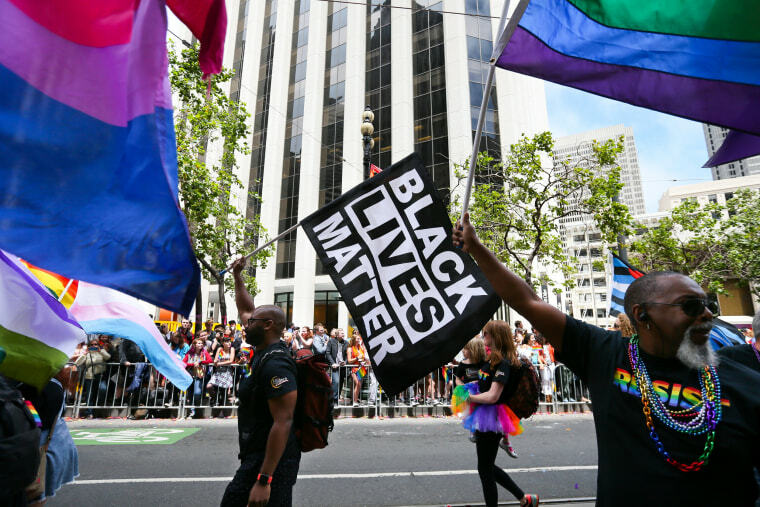 Some of the most divisive ads capitalized on the political movement Black Lives Matter and hot-button political issues including immigration, gun control, the religion of Islam and LGBT-centric topics. The ads also promoted events organized by Americans who were unaware their political rallies and protests were being fueled by a Russian disinformation campaign. Some 3.7 million users clicked on the IRA ads, according to Facebook's statistics. The ads released Thursday were seen over 33 million times, according to the metadata provided by Facebook. Speaking to Congress last month, Facebook CEO Mark Zuckerberg said 126 million Facebook users saw content by Russian disinformation campaigns. Thursday's report, compiled and provided by Facebook and the House committee, includes visuals of all 3,000 original ads as well as the associated metadata selected by the IRA, the Russia-linked organization that has been found to be the source of the ads and other propaganda efforts. The metadata for the ads included chosen geographic areas as well as the age range, gender, and interests of the Facebook users who were shown the ads. The IRA targeted a range of people and personalities, from users who were interested in anodyne issues like motherhood or music, to those who followed more politically divisive topics such as immigration and police brutality. One day after Dylann Roof killed nine black churchgoers in Charleston, a Russian propaganda account, Black Matters, gave Facebook 1,295 rubles (about $20) for one ad, seeking to capitalize on the tragedy by getting more users to follow the account. In the months before the election, BlackMatters would use that same page to push the message shared by almost all of the accounts: pleading with Facebook users not to support Hillary Clinton. “You know, a great number of black people support us saying that #HillaryClintonlsNotMyPresident! So this time we would like to make a #flashmob against #HillaryClinton because she is the real enemy of black community and our followers prove it showing their disgrace to her personality and policy,” one Black Matters post reads. According to the indictment, the troll farm’s operations “included supporting the presidential campaign of then-candidate Donald J. Trump” and “disparaging Hillary Clinton.” At a news conference revealing the charges, Deputy Attorney General Rod Rosenstein said, “There is no allegation any American had any knowledge” of the troll farm’s activities in the indictment. In a blog post timed to the House Intelligence Committee’s release, Facebook detailed a number of changes the company has made in the interest of preventing future misinformation campaigns. Among them, Facebook highlighted new transparency features for advertisements, a doubling of the number of human content monitors, and the removal of “nearly one-third” of the controversial ad targeting terms utilized by the IRA. The newly released documents show that Russia’s infamous “troll farm” had a keen interest in the world of American political influencers. In the two final ads purchased by the Russian propaganda campaign in August of last year, the troll farm pushed an ad for its anti-immigration page “Secured Borders” to fans of Fox News prime-time personalities Sean Hannity, Tucker Carlson, Laura Ingraham, and Bill O’Reilly, and to followers of the channel itself. The same page targeted followers of right-wing personalities such as Rush Limbaugh, Michelle Malkin and Michael Savage, along with Facebook accounts that “liked” President Trump and Jesus Christ. The most expensive sponsored troll farm post invited users to follow the Patriot U.S. group, and cost the IRA about $5,000, according to an NBC News analysis. The “Back the Badge” pro-police officer sponsored post was the most widely seen, boasting almost 1.5 million impressions and nearly 75,000 clicks. Nearly one-third of the ads released by Congress were never seen by anyone, having zero impressions and zero ad dollars spent on them. When buying ads for the pages Black Matters and Don’t Shoot, the troll farm exclusively targeted four American cities: Baltimore, Cleveland, St. Louis and Ferguson, Missouri. One ad was purchased less than two months after the death of Freddie Gray, a 25-year-old African-American man from Baltimore who died from spinal injuries sustained while in police custody. The post, backed by a 3,700-ruble (about $58) ad buy, pushed an event at Baltimore City Circuit Courthouse called “Demand Justice for Freddie Gray” and targeted only the greater Baltimore area. Other posts about black issues targeted all four cities, pushing news articles about police brutality and essays about being black in America, sometimes written in the first person as an African-American. Some of the posts geotargeting Facebook users in Cleveland came less than seven months after Tamir Rice, a black 12-year-old boy from Cleveland, was killed by police while he played with a toy gun in a park. Don’t Shoot, a page that exclusively pushed news about police brutality, called for violence against police in an ad targeted towards Facebook users in Louisiana. The troll farm also attempted to push a general interest meme page dubbed Memopolis that targeted fans of Reddit, Buzzfeed, 9gag, CollegeHumor and “NBA memes.” The page pointed to posts on Dudeers.com, a site with previously unreported ties to the troll farm that went inactive in 2017. The troll farm even attempted to expand its foray into American pop culture debates onto the streets of Manhattan. Another ad targeting African-Americans on Instagram leveraged news reports of an anti-Beyoncé rally — a viral stunt that wound up being attended by just two people — to push a pro-Beyoncé rally at the same location on Park Avenue in New York. NBC News' Mike Memoli contributed to this story.